The Clow Telescopic Laddermatic is the ultimate in usability – a ladder you can easily transport and store, and one which is strong and robust enough for the mobile professional. Maximum load 150kg. The Clow Telescopic Laddermatic is the ultimate in usability – a ladder you can easily transport and store, and one which is strong and robust enough for the mobile professional. 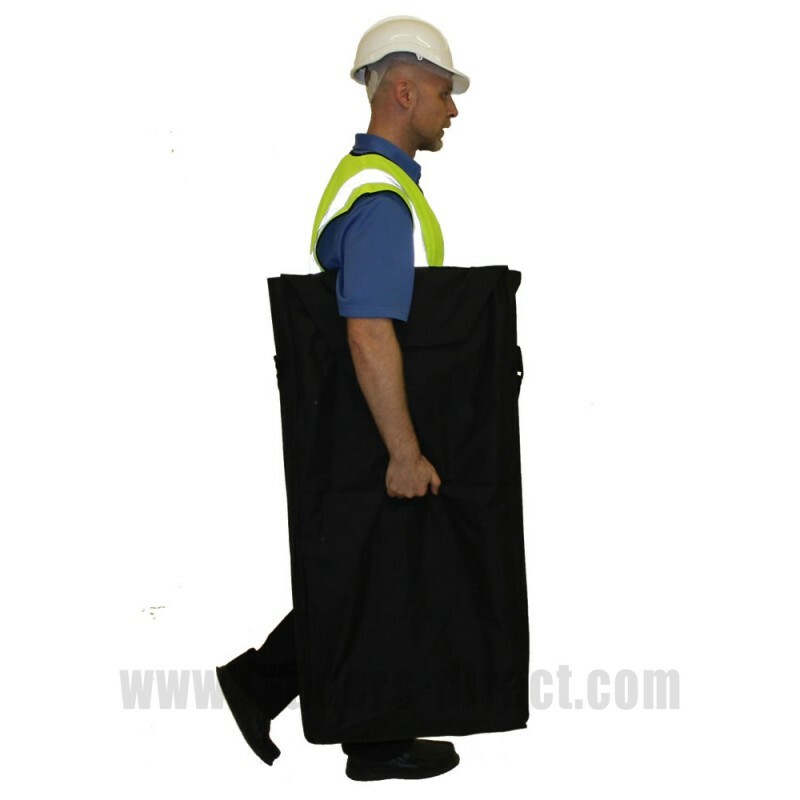 Manufactured from strong, lightweight aluminium. 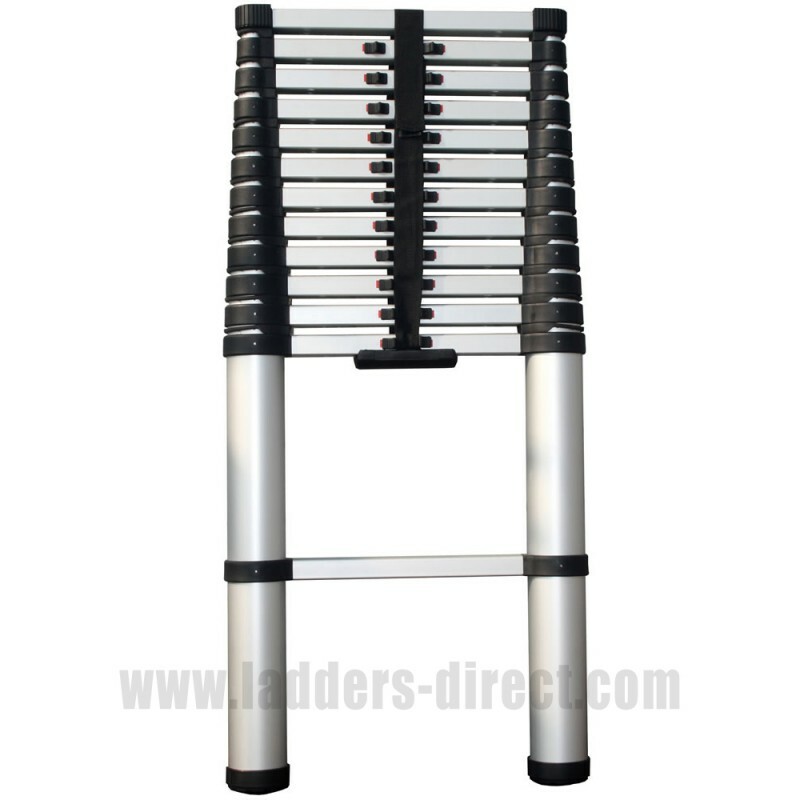 Easy, straightforward and simple to use this ladder can be quickly extended and adjusted to suit any height up to it’s maximum length. The Clow Telescopic Laddermatic features safe and secure rung locks, which automatically lock into position as the ladder is extended. A visual indicator ensures the locks are securely engaged. 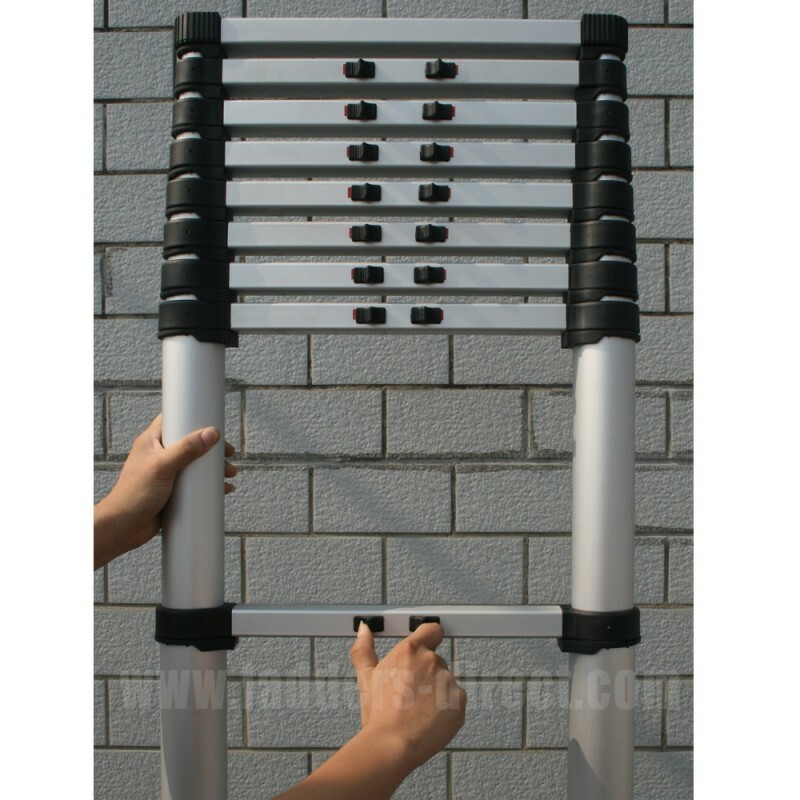 To close the ladder, the rung locks which are cleverly positioned at the centre of the ladder rungs, can be unlocked using one hand allowing the other hand to guide the ladder as it closes – no trapped fingers!. 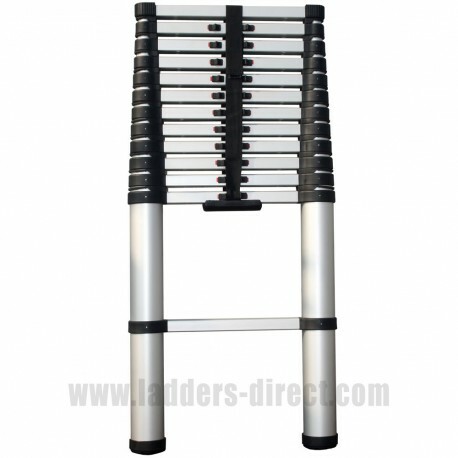 When closed, the Telscopic Laddermatic is a compact unit and it will comfortably fit within a car boot or cupboard. 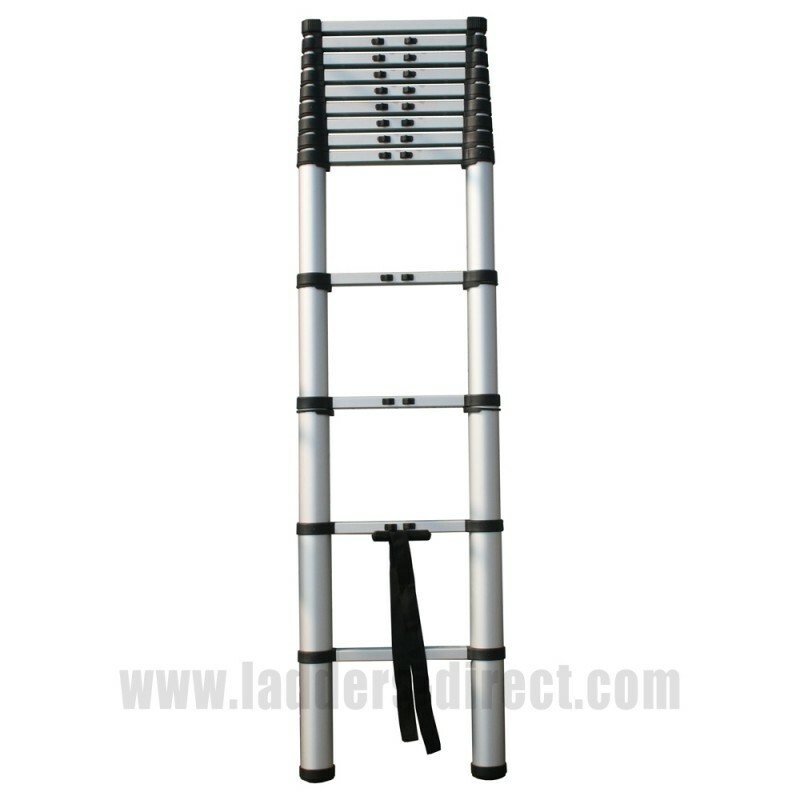 For the ultimate in mobility the Telescopic Laddermatic is also available with its own carry case manufactured from strong hard wearing polypropylene. Compact unit, easy to store in the car or at home. Maximum load of 150kg in the normal working position.